NUNHEAD glittered briefly on the non-league stage, but for a while, they were one of amateur football’s most respected clubs. Originally founded as Wingfield House in 1888, the club changed its name in 1904. In 1907, they were one of the founder members of the Spartan League but they only stayed one season in that competition before joining the recently-formed Isthmian League. The club finished runners-up in the first post WW1 Isthmian, losing out on goal average to local rivals Dulwich Hamlet. In 1926-27, the club established a non-league record when they beat Kingstonian 9-0 in the first round of the FA Cup, but went out in round two to Poole Town. 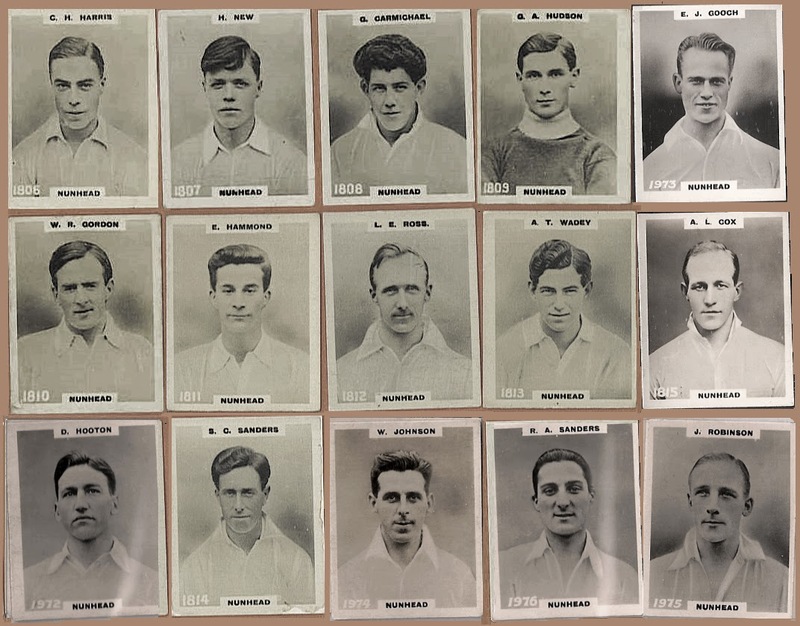 They also reached the last eight of the FA Amateur Cup in 1926-27, losing to Leyton. In 1928-29, they won their first league title, securing top place by two points from London Caledonians and Dulwich. Curiously, Nunhead scored just 47 goals in their 26 league games, lower than all bar the two bottom sides in the Isthmian League. But they conceded only 35 goals in that campaign. They repeated the title trick in 1929-30, winning the league by a five-point margin from Dulwich. They were unbeaten on their own patch, Brown’s Ground, which was also known as the Nunhead Sports Ground. More goals this time – 69 – and another sound defensive performance with just 36 in the “against” column. One of the notable characters of the Nunhead team that won two titles was Eric Mulley, a goalkeeper renowned for his penalty-saving technique. Other players from the club’s golden period included N.W. Sidley, R.Morley, J.Cornish, W.A. Hill, S.J. Head, R.Bartholomew, H.Scolfield, A.B. Groves, A.L. Cox, England full-back D.Hooton, R.E. Saunders and E.Ellis. Sadly, the Nunhead name has been all but forgotten in non-league circles, but between 1928 and 1930, few teams could touch them in amateur football.